Amanda is responsible for the direct management of over 650,000 sf of a portfolio consisting of office, retail and Property Owners Associations. Amanda's focus, in addition to her own property management duties, include monitoring the financial, business and service delivery of the Property Management Department as well as appointment of Property Management and Maintenance staff. Amanda began her career in commercial real estate in 2004. 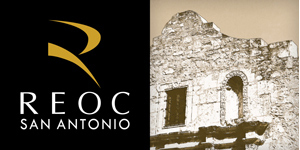 Prior to joining REOC San Antonio, Amanda was with major real estate firms such as Travis Commercial Real Estate and Reata Property Management. 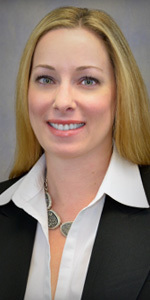 Her responsibilities include tenant and vendor relations, lease administration, contract bidding, construction management for tenant improvement projects, building rehabilitations, staffing, budget oversight and preparation and employee management. Her assignments have included institutional and private equity clients. She is equally adept at both managing large capital projects and complying with sophisticated financial budgeting and forecasting requirements of our clients. Clients turn to Amanda because of her strong ability to simultaneously manage numerous activities and duties, while focusing on the clients' long term objectives. TETCO Building (100,000 sf) Assisting in the oversight of the remodeling of the Class A office building.